I received a call last Thursday from Bloomberg Business. Would I be interviewed for tariffs and their effect on our industry? They read our article regarding the punitive tariffs against LG and Samsung. That was in response to illegal dumping of products in the US. In this article, we will review the Samsung and LG tariffs. Then we will look at the steel and aluminum tariffs. If you are planning to buy appliances or any commodity, we will estimate when the best time to buy. You can also listen to the 14 minute (a very long time when answering questions) clip about tariffs and industry trends. 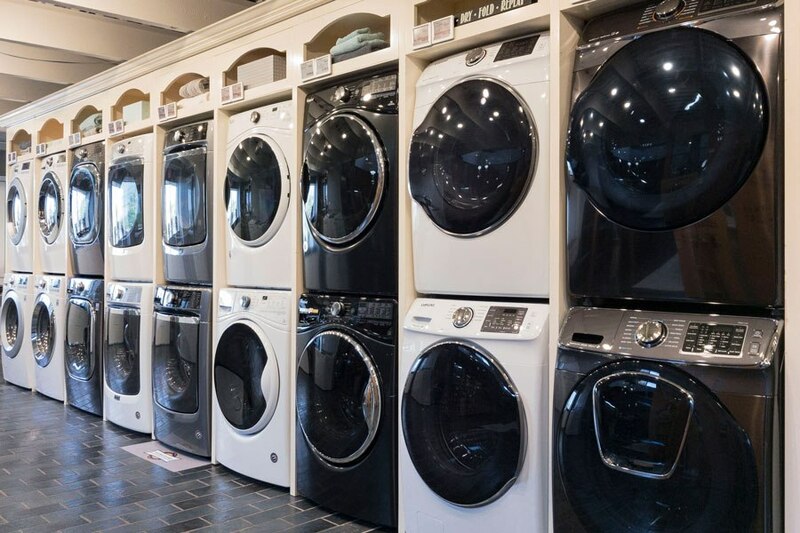 Samsung and LG lost a dumping suit to Whirlpool in laundry. Their tariffs are punitive and have nothing to do with commodities. That’s a bonus. The tariffs are on washing machines for 20% at the first 1.2 million units with a 50% tariff beyond that. Imported machine parts would receive an additional 50% tariff. Both companies are staring at 120% tariffs as of Jan 1. To my surprise, the most popular LG washer was $100 cheaper than the time I originally wrote that article. As I described in the other article, manufacturers and retailers bought inventory before that tariffs effective date. As of this writing, prices are about equivalent to last year. That will change. Foreign steel and aluminum tariffs of 25 and 10% were enacted by the administration Jun 1. Almost every appliance company has increased prices July 1. They were substantial with the most notable, Bosch/Thermador, at 5-20%. In my opinion, the latest increases are only the start. They have paid for the various promotions like Thermador’s free hood and dishwasher promotion. Jenn-Air has a $1300 rebate program. Samsung and LG discount their appliances 10-35% off around holidays. Whirlpool has followed suit. Real increases based on tariffs have not started yet. Most larger companies buy steel way in advance, so they are still producing with the old prices. When the supply runs out, you will see an impact. You will already see an impact on many non-commodity luxury products. It depends on what you are buying. Thermador wall ovens and cooktops have already increased substantially. Bosch dishwashers have not, because we bought 1800 units before the increase. It depends on the purchase and the retailer. You should call around to understand which retailer can offer pre July 1 prices. I still think supply should hold until the next big Labor Day promotion. Stay in touch with your store and wait until September for the typical massive rebate programs. Once again, it all depends on supply. Samsung may be OK. Their South Carolina plant is scheduled to be online and producing 1 million washers this year. LG should have their own plant next year. In theory, any manufacturer using domestic steel, aluminum and machine parts will avoid tariffs of 80%. Appliances is a brutally competitive industry, but companies cannot afford to maintain market share by absorbing these significant costs. At the very least, you should eventually expect to pay the added costs of the July 1st. More significant costs depend on a company’s ability to source and build in the US. It is disconcerting to be interviewed without knowing the questions beforehand. The questions went from tariffs, to competing against box stores and eventually Amazon. They did ask one political question. What did I think of the tariffs? I am not a political person. Half my friends think I am a socialist with the other half a right-wing reactionary. Whatever is good for the American worker, I will support. Factory job creation minimizes social problems in my opinion. It also supports other businesses along main street. Sure, we do sell some Miele, Samsung and LG. Sub-Zero, Wolf, Thermador, Bosch, Jenn-Air, Whirlpool and KitchenAid dwarf that number. It still must be fair. American companies cannot enjoy protection and build an inferior product as well. I personally hope 100% of the appliances are American made. That would be better for all of us in this country. Want to learn more about the latest gas ranges and technology? 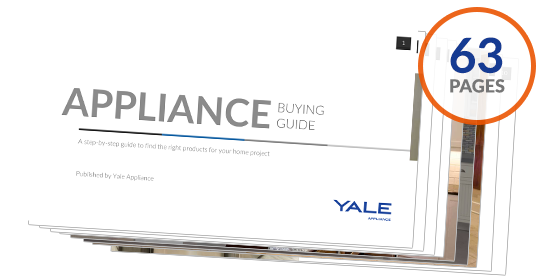 Read the Yale Appliance Buying Guide with features, specs and detailed profiles of every major brand. Well over 350,000 people have downloaded a Yale Guide.